Design invitations, flyers or other documents personalized in your style. Simply insert a photo into any template and with one click adjust the entire document to the colors of the image. Choose from over 70 new Smart Photo Panels and Frames to create invitations, certificates or vouchers. You can use these to highlight the best aspects of your photos. The new Arrow SmartShapes are fully flexible and simple to use. You can customize the length, curve, width and line style of the arrow as required. This enables you to create the exact kind of arrow you need. Our new Smart Labeled Lines make perfect headings and dividers, but they can also be used to accurately indicate measurements! Simply paste your text or unit of measurement and the line will automatically adjust to fit the inserted content. Easily create modern and stylish invitations or social media posts exactly the way you want with customizable trapezoids, parallelograms, wheels, pentagons and lots more! Give your designs that special touch with the new advanced ligature and stylistic set support. Live preview to see the effects immediately. With the text field filler, text will automatically adjust to the size of the shape as you type. A new creative way to emphasize important information in your document. Make design projects a reality and create beautiful invitations: The new OpenType functions offer lots of new creative possibilities, such as individual letters, words or texts with eye-catching decorative elements. Perfect for social media posts or cards: The Smart Text Panels automatically adjust to fit entered text and are the perfect way to add emphasis to quotations or important sections of text. Clear graphics and tables are key in important documents. Use the improved Smart Shapes for tables to present your data convincingly. Have you ever wanted graphic elements from a PDF? Maybe a logo, photo or text. 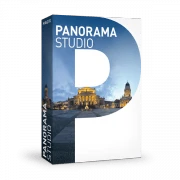 With Photo & Graphic Designer it’s now as easy as copy / paste! Now you can easily create clear and compelling pie charts from CSV data in Xara Photo & Graphic Designer. Lines and outlines can now be adjusted by simply scrolling your mouse wheel over the line. Small change, big time saving! 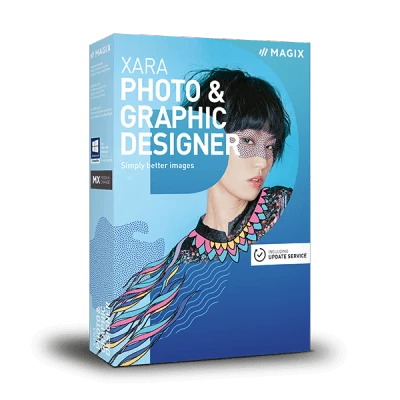 The Xara Photo & Graphic Designer Knowledge Base covers all questions regarding your product and offers help for any issues you might have.